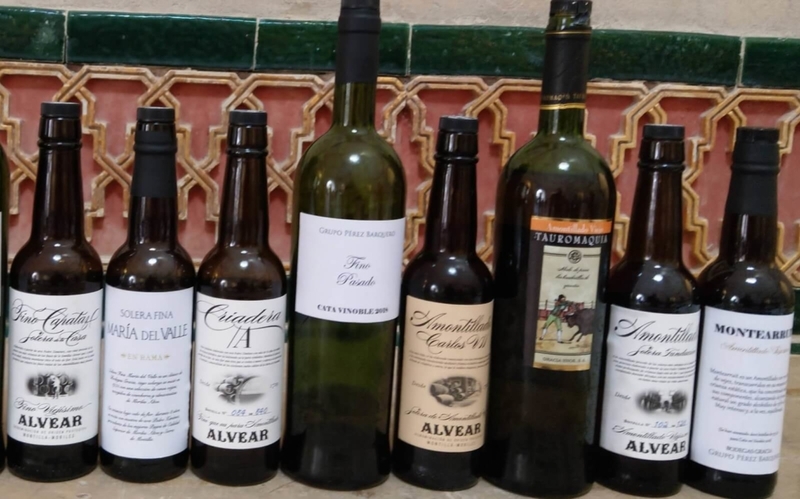 This tasting, introduced by Juancho Asenjo, took us through the journey of the solera wines evolving from Mosto Yema through to the old Amontillados produced in the D.O. 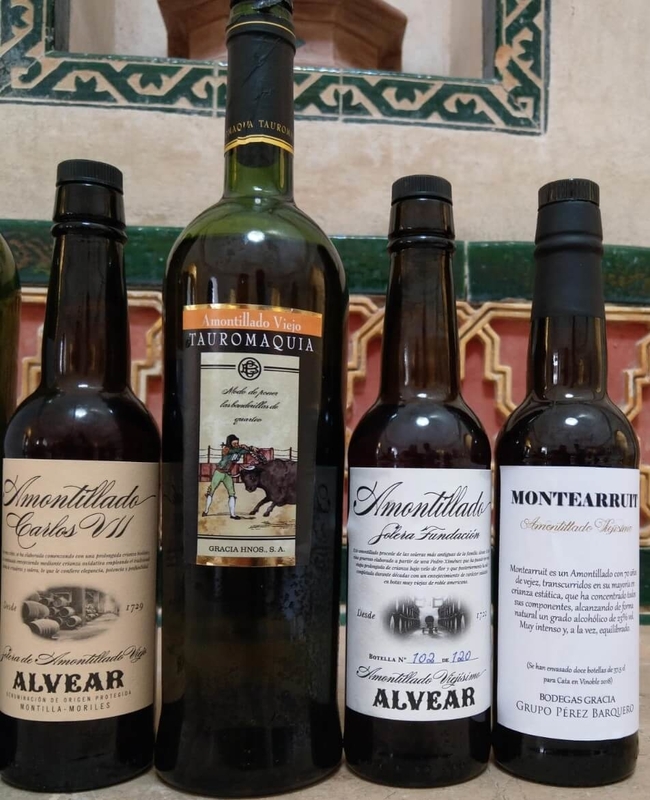 Montilla-Moriles. The two superior quality production areas in the D.O. are the Sierra de Montilla and Moriles Alto. These areas lie 400 to 600 metres above sea level on the finest albarizo soils. Yields in these zones are limited to 60 hectolitres per hectare compared to 80 in the rest of the region. 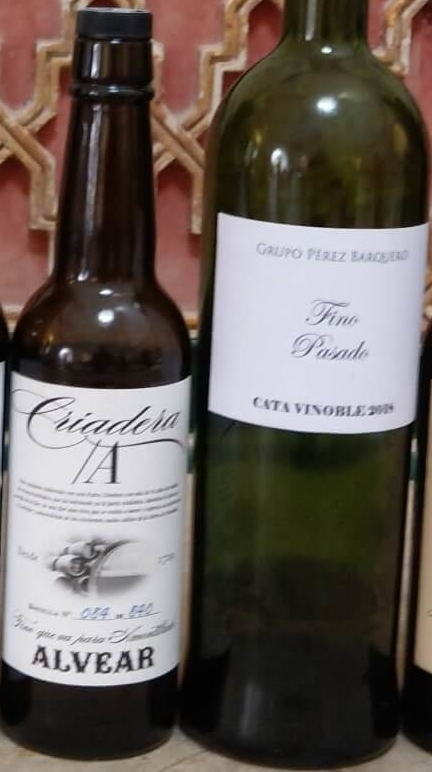 Representing each of these areas were Bernardo Lucena, Oenologist of Bodegas Alvear who presented the wines from the Sierra de Montilla while Juan Márquez, Cellar Master of Perez Barquero Group (Gracia Hermanos) presented the wines produced from the Moriles Alto. 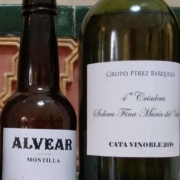 This amontillado comes from the oldest soleras of the Alvear family. 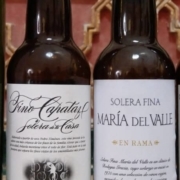 A generous wine elaborated from the Pedro Ximénez grape, which has gone through a prolonged stage of ageing under a velo de flor and later without it, in oxidative aging for decades in very old American oak butts. Perez Barquero – Montearruit Amontillado ABV 23% – From the label – This is an Amontillado with over 70 years of age, mostly with oxidative ageing. This has concentrated all its components, reaching a natural alcoholic degree of 23%. Very intense and, at the same time, balanced. 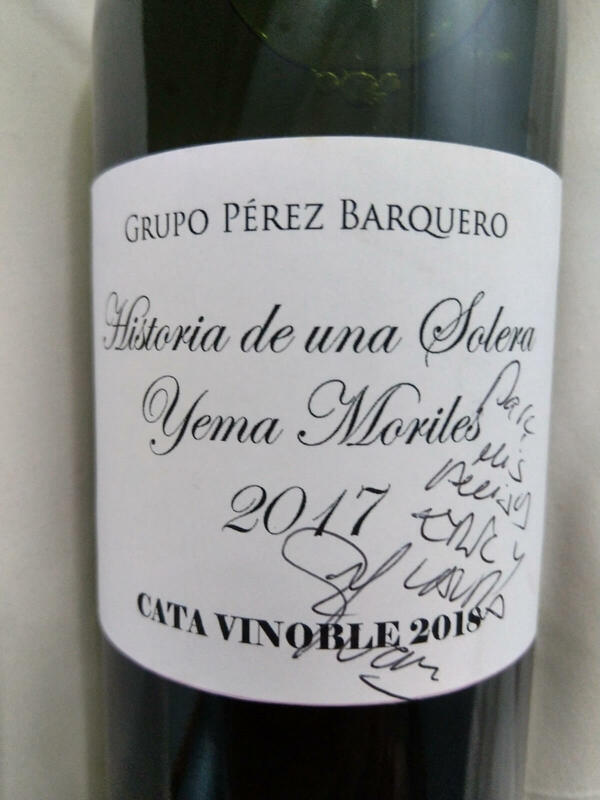 This wine was specially bottled for Vinoble 2018. 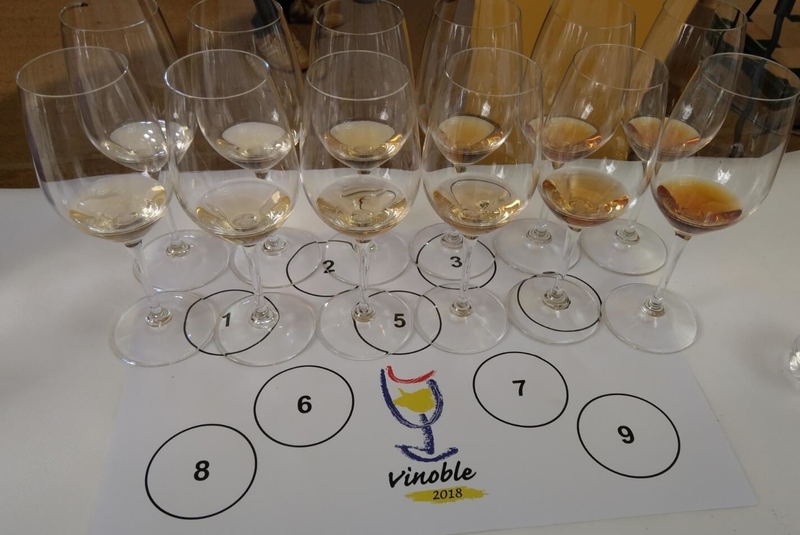 This tasting was an fascinating insight into the evolution wines through the solera systems of Montilla-Moriles. Starting with the Mosto Yema and ending with two exceptional old Amontillados with decades of ageing. We first met Bernado when he hosted us at Alvear during our Technical Specialists course in September 2016. 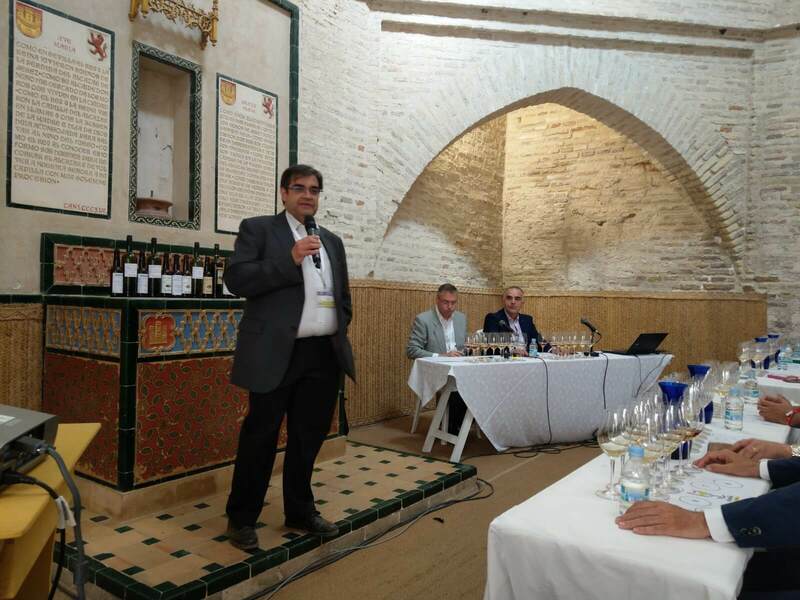 Subsequently, we had lunch with him along with María Alvear in Montilla in January last year when they introduced us to the 3 Miradas range. 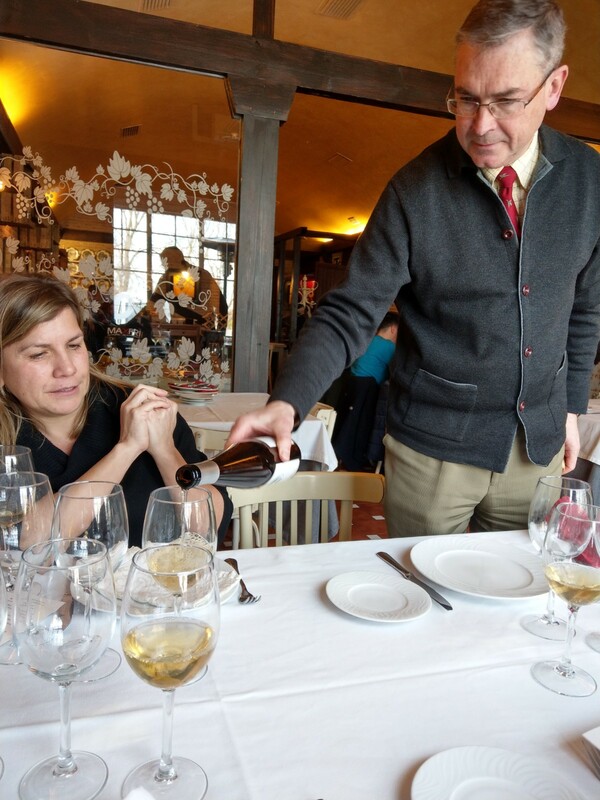 Juan was part of a fantastic visit to the Perez Barquero in March 2017 along with Adela Córdoba Ruz. On the last day of Vinoble he kindly gifted us a bottle of the Moriles Alto Mosto Yema which we will post a review of shortly.